January 2007 (Revised August 2007) – Pro-pharmaceutical and anti-health freedom forces have made significant strides in recent years towards their ultimate aim of removing all higher-dose, innovative and effective nutritional supplements from the global marketplace. With the passing of the European Union’s Food Supplements Directive in 2002, for example, and the adoption by the Codex Alimentarius Commission of its global Guidelines for Vitamin and Mineral Food Supplements in 2005, the stage became potentially set for stringent restrictions on the levels of nutrients contained in supplements to become enforceable on a global scale over the next few years. The pro-pharmaceutical and anti-health freedom forces are trying to disguise this threat, however, by claiming that the upper safe levels for each nutrient will be calculated scientifically, via a process called “scientific risk assessment”. In reality, however, most current methodologies for assessing the supposed “risk” of consuming nutritional supplements are anything but scientific, and are actually deeply flawed. Moreover, and as this article will show, unless these flaws are corrected, the eventual outcome, for many nutrients, could well be the global enforcement of maximum levels in supplements that are little different to the meagre government recommended daily allowances (RDAs). Should this happen, of course, the ultimate beneficiary would be the pharmaceutical industry and its “business with disease”. Arguably the most serious problem with most current nutrient risk assessment methodologies is that they are based upon the assessment of entire nutrient groups (e.g. vitamin D, vitamin E, calcium, zinc or iron), as opposed to individual nutrient forms (egg vitamin D3, gamma-tocopherol, calcium hydroxyapatite, zinc sulphate or iron bisglycinate). Why is this important? Because, in short, the supposed “risks” from consuming a particular vitamin or a mineral are highly dependent upon the chemical form in which it is presented. For example, ferrous sulphate, commonly prescribed by medical doctors to treat anaemia, is generally recognized as the most toxic form of iron, and can potentially cause a number of unpleasant side effects, including gastro-intestinal discomfort and nausea. However, iron bisglycinate, the form widely recommended by clinical nutritionists and nutritional therapists is a far gentler form of iron, and does not share the unpleasant the side effects of its relatively more toxic cousin. Similarly, magnesium hydroxide can cause diarrhoea in some people, whilst other forms of this mineral, such as magnesium gluconate, are less likely to cause this problem. Likewise, vitamin C, when taken as ascorbic acid, is well-known for its potential to cause looseness of the bowels when taken in very high doses. However, this side-effect does not occur when vitamin C is taken as calcium ascorbate. Nevertheless, the risk assessment methodology advocated by the World Health Organization (WHO) and the Food and Agriculture Organization of the United Nations (FAO), in a joint report, published in 2005, recommends the setting of one single upper safe level for all forms of iron, one single upper safe level for all forms of magnesium, one single upper safe level for all forms of vitamin C, and so on. With this approach, therefore, the upper safe level for each nutrient source is essentially determined by the toxicity profile of that member of a given nutrient group shown to be the most toxic in the published, peer-reviewed scientific literature. In other words, the upper safe level for ferrous sulphate will also be applied to iron bisglycinate, the upper safe level for magnesium hydroxide will also be applied to magnesium gluconate, the upper safe level for ascorbic acid will also be applied to calcium ascorbate, and so on. This “nutrient group” approach is convenient for the regulator since only one risk assessment needs to be conducted for each nutrient group. However, it very unfairly discriminates against those nutrients that are not only safer, but are usually both more beneficial and popular with consumers of supplements. 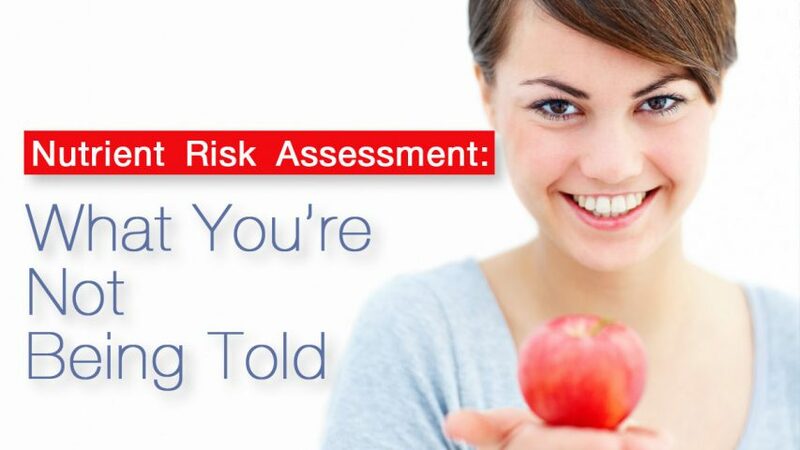 This approach to risk assessment is scientifically irrational, and, if utilised by national regulatory agencies, would ultimately prevent consumer access to safe and beneficial levels of a wide range of nutrients. A more scientifically rational methodology for nutrient risk assessment, therefore, would be to treat each individual nutrient form (e.g. ferrous sulphate, iron bisglycinate, magnesium hydroxide, magnesium gluconate, ascorbic acid, calcium ascorbate, etc) as an individual chemical entity, and to set a separate upper safe level for each. This is what is termed a “nutrient form” approach, and is essentially the same approach that risk assessment scientists already take when examining toxins, such as pesticides, herbicides and so on, where each individual substance is treated as a separate chemical entity. Worryingly, therefore, the nutrient group approach is the one that currently seems most likely to become adopted by the European Union for setting the upper safe levels for its Food Supplements Directive, and by the Codex Alimentarius Commission to set the upper safe levels for its global Guidelines for Vitamin and Mineral Food supplements. As such, and as we shall discover, this approach could ultimately lead to the global enforcement of ‘maximum permitted levels’ (MPLs) for supplemental nutrients that are little different to the meagre government recommended daily allowances (RDAs). An additional problem with the nutrient group approach is that it ignores the health benefits of nutrients, and concentrates solely upon the assessment of their supposed risks. Disconcertingly, despite the obvious flaws and bias of this approach, the United States (U.S.) judiciary is nonetheless showing signs that it might give it the backing of law. For example, an August 2006 ruling by a three-judge panel of the 10th U.S. Circuit Court of Appeals overturned an April 2005 ruling by the District Court of Utah that the US Food and Drug Administration (FDA) was incorrect in using risk-benefit analysis to support its ban of the herb ephedra . This Appeals Court ruling was highly significant, because, when conducting its analysis of ephedra, the FDA had refused to acknowledge that the herb had any benefits. As a result, if, in future, the FDA decides, when conducting a risk-benefit analysis of a nutrient, that its benefit is non-significant, then any level of risk could now seemingly qualify as “unreasonable risk of illness or injury”, as provided for under section 4 of the Dietary Supplement Health and Education Act (DSHEA), the law under which supplements are regulated in the U.S. In other words, if the FDA decides, for instance, that there is no benefit to be had in consuming supplements containing vitamin C at levels above the U.S. recommended daily amount (RDA) – currently set at a mere 7 5 mg/day for females and 90 mg/day for males – then the fact that vitamin C, in its ascorbic acid form, can cause diarrhoea above tolerance levels could potentially trigger an “unreasonable risk of illness or injury” classification and subsequent restrictions upon its sale. As such, given that many of the health benefits attributed to nutritional supplements effectively put them in the area of what is currently defined as drug use (i.e. they prevent, reduce the risk of, or even treat diseases), the implication is that the FDA could, in future, simply decide that such benefits do not apply to products regulated as supplements, and assign the benefit portion of any risk-benefit analysis for nutrients to zero. By establishing this precedent, and ruling in favor of this methodology, the 10 th U.S. Circuit Court of Appeals would therefore seem to have tipped the U.S. regulatory scales significantly in the FDA’s favor. Clearly, therefore, the continued ignoring by national regulatory agencies of the health benefits of consuming above-RDA levels of supplemental nutrients is now a serious threat to their future availability. In some areas of the world, such as the United States and the United Kingdom, supplemental nutrients have been in use for over half a century now. As a result, some doctors and practitioners have built up extensive databases containing carefully documented case histories of patients who have used high doses of vitamin and mineral supplements, safely and effectively, for many years. Similarly, research scientists have conducted numerous small-scale clinical trials that have produced impressive results providing clear evidence of the safety of high dose supplements in human beings. Nevertheless, a serious flaw in the current regulatory approach to nutrient risk assessment is that some of the most valuable potential sources of positive scientific evidence regarding the use and safety of supplements, such as the types of observational and clinical data described above, are generally ignored. Instead, the sole source of evidence that is considered are peer-reviewed scientific studies of particular nutrient forms, which are often non-comparable owing to differing experimental designs, nutrient forms delivered, dosages given, and so on. The net result of this is that the evidence-base for nutrient risk assessment tends to be skewed towards consideration of negative outcome studies that used a single vitamin or mineral – frequently in a synthetic rather than a naturally-occurring form – without full and proper consideration of the participants’ overall state of health or individual nutritional requirements. Moreover such studies are often non-comparable owing to differences in their follow-up periods; the fact that many have been conducted on diseased rather than healthy populations; and that many were started well after disease states had already been initiated. As a result, a process that may appear rational, objective and scientific to the lay person or even the regulator, is, we discover, actually flawed and deeply unscientific. As we have seen, the risk assessment methodologies that seem most likely to be used to calculate the upper safe levels for nutrients contain some serious flaws. However, what is not commonly understood is that these levels, once calculated via the nutrient group approach outlined above, will then be ‘risk managed’ downwards even further by subtracting from them the highest amounts – as determined from national dietary surveys – that we are supposedly already getting in our diets from conventional foods, beverages and drinking water. The Codex Guidelines for Vitamin and Mineral Food Supplements and the European Union’s Food Supplements Directive, for example, both require that this procedure should be utilised when setting the maximum permitted levels in supplements. To illustrate this, if the upper safe level for vitamin B6 is calculated to be 10mg, as recommended by the UK’s Expert Group on Vitamins and Minerals, and the average daily intake of vitamin B6 from food is calculated to be 2.9mg, as was stated to be the case for men in the UK’s National Diet & Nutrition Survey in 2003, then the ‘maximum permitted level’ of vitamin B6 in supplements could potentially be set by regulators at a mere 7.1mg. As can be seen, despite being calculated using so-called “scientific risk assessment”, combined with a rationalized risk management step to convert the ‘upper safe levels’ to ‘maximum levels’ (the regulatory end-point), in many cases these numbers correspond closely to RDA-type values. Worse still, however, some nutrients would only be permitted at lower than RDA levels, whilst others – such as copper, iron and manganese – would not be permitted at all. Further evidence that the use of nutrient group based “scientific risk assessment” methodologies could contribute to the setting of unacceptably low maximum permitted levels subsequently emerged in June 2006, when the European Commission issued a Discussion Paper on the setting of maximum and minimum amounts for vitamins and minerals in foodstuffs. The Annex of the Paper included five examples of existing nutrient risk assessment models, all but one of which would be virtually guaranteed to lead to the setting of highly restrictive maximum permitted levels if adopted on a European-wide basis. Moreover, even the one relatively less restrictive example, a risk management model designed by the European Responsible Nutrition Alliance (ERNA) and the European Federation of Associations of Health Product Manufacturers (EHPM), leaves much to be desired, in that it proposes maximum supplement levels of 2mg for manganese, 10-15mg for zinc and 4.8-7mg for beta-carotene. Putting this beta-carotene figure into perspective, for example, a good-sized portion of cooked carrots will deliver a highly bioavailable 50mg of the nutrient, around 10 times the potential maximum supplement level! Another major problem with most current nutrient risk assessment methodologies is that they totally ignore the fact that what might be a minor and inconsequential risk to one person may, in contrast, be profoundly beneficial to another. For example, whilst some nutrient forms, such as magnesium hydroxide and the ascorbic acid form of vitamin C, can cause looseness of the bowels when taken in high doses, to somebody suffering from persistent constipation, the ability of the aforesaid nutrient forms to loosen the bowels would not be seen as a risk, but as a highly desirable benefit. As such, it can be seen that because people are genetically and biochemically different to each other, restricting nutrient levels in supplements to near-RDA amounts will ultimately increase the risks to people’s health by limiting their treatment options to the infinitely more dangerous synthetic-drug medicines produced by the pharmaceutical industry. Furthermore, an individual’s nutrient requirement varies greatly over time. A person suffering from a viral infection, for example, will typically find that his or her bowel tolerance for vitamin C will increase more than 10-fold; such is the higher requirement of the body for this nutrient while the immune system is fighting an infection. 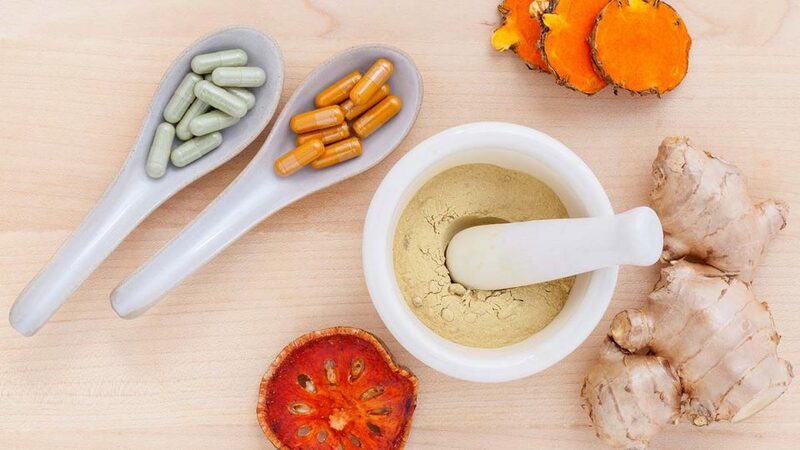 The setting of globally-enforced maximum permitted levels for nutrients in supplements is arguably the most crucial of all the various threats currently facing the future of natural therapies and health freedom. Whilst the pro-pharmaceutical and anti-health freedom forces are trying to disguise these threats, by claiming that the upper safe levels for each nutrient will be calculated scientifically, via a process called “scientific risk assessment”, the reality is that this methodology, combined with the risk management step which determines maximum amounts in supplements, may still lead to legal enforcement of maximum permitted levels that are little better than the RDAs. In Europe, in particular, naturopaths have long feared that the setting of maximum permitted levels for nutrients in supplements will not be carried out according to rational science, but through a process of political horse-trading. The European Union’s Food Supplements Directive, for example, specifically states that the adoption of the specific values for maximum levels for vitamins and minerals in food supplements should be entrusted to the European Commission – the unelected and unaccountable executive body responsible for proposing and implementing European legislation. Perhaps not surprisingly, therefore, s easoned observers are already beginning to suggest that the consumer outrage that occurred prior to the passing of the European Union’s Food Supplements Directive in 2002 and the Codex Guidelines for Vitamin and Mineral Food Supplements in 2005 may yet pale in comparison to the protests expected when the maximum permitted levels are eventually announced, probably in 2008. So, protest to your political leaders and elected officials, now, while you still have time, telling them that your vote at the next election depends upon their response to this issue. Ring them, write to them, visit their offices, and become a persistent irritation to them. If you’re not prepared to do this then you shouldn’t expect to have access to higher-dose supplements in the future. And don’t, whatever you do, leave it up to other people to fight this batt le for you – because those other people, may, in turn, be leaving it up to you! Paul Anthony Taylor would like to thank Dr. Robert Verkerk, Executive & Scientific Director of the Alliance for Natural Health, for his invaluable scientific input into the writing of this article.